Kia Sorento 2.2 CRDI KX-1- 7 Seats, AUTO, 4x4, 194 BHP, great condition, 7 services. Kia Sorento 2.2 CRDI KX. Diesel/Automatic finished in Black. The great spacious family Automatic 4x4 benefits from the added extra of having 7 seats with a multitude of seating configurations. This Kia has been well kept and drives well and is mechanically tip top and has 7 main dealer services in the service book showing the 2 previous keepers have taken great care of this car. For a car of this size and practicality, the running costs are very good with the 2.2-litre diesel engine returning 38.2 MPG. 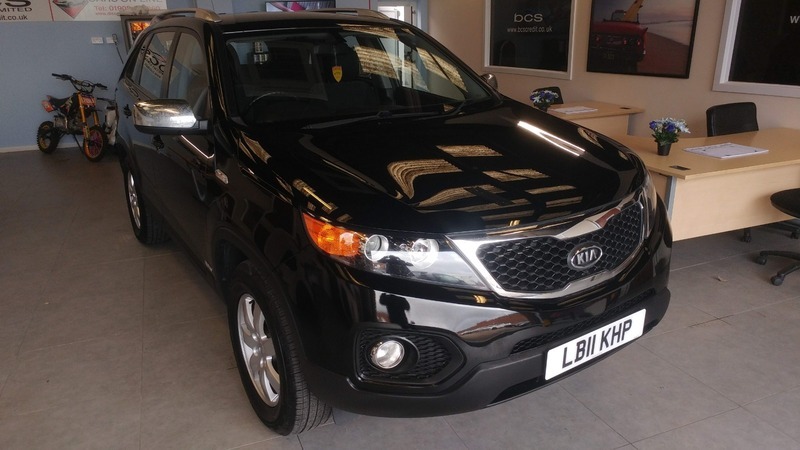 This great priced 4x4 Kia is spec'd with 17" alloy wheels, radio/cd player, electric door mirrors, Isofix, privacy glass, MP3 connectivity and much more. It is offered at a great price with 6 months dealer warranty and 12 months complimentary AA breakdown cover.